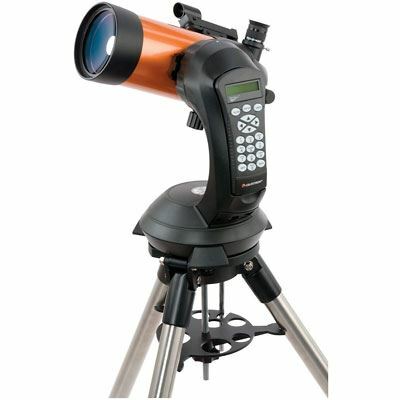 The Celestron 4SE telescope is a 4 inch Maksutov-Cassegrain telescope with StarBright XLT high transmission coatings and the proven NexStar computer control technology. It also has nearly 40,000 object database and is also GPS-compatible with optional CN16 GPS Accessory. The box contains the NexStar 4 Pre-assembled Telescope, a 25mm Eyepiece 31.7mm, Star Pointer Red Dot Finderscope, Adjustable Steel Tripod with built-in Wedge, The SkyTM Level 1 Astronomy Software, NexRemote Telescope Control Software, RS232 Cable, Camera Shutter Cable, Computerised Hand Control with nearly 40000 Object Database and Manual and Quick Set-up Guide.